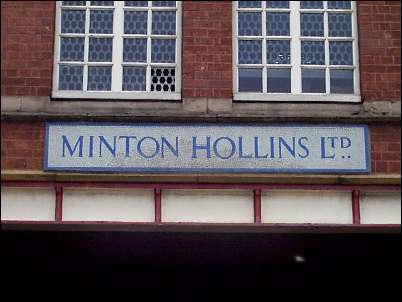 These pictures are of the Minton Hollins tile factory in Stoke. These works were very busy, producing up to 2 million tiles a month in 1899, many of them Art Nouveau in style. Herbert Minton had developed encaustic (using pigments mixed with hot wax, which are burned in as an inlay.) tiles from 1830, working closely with A W N Pugin, and many of the early tiles will have been used for the latter's churches and for the Houses of Parliament. 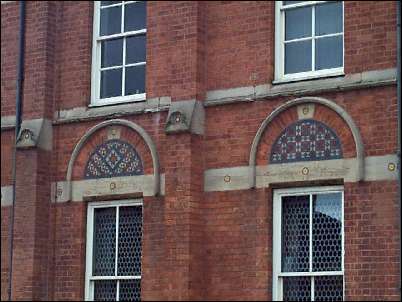 After 1845 the tile business traded separately from the china business, and in 1869 a purpose-built factory was established in Shelton Old Road. 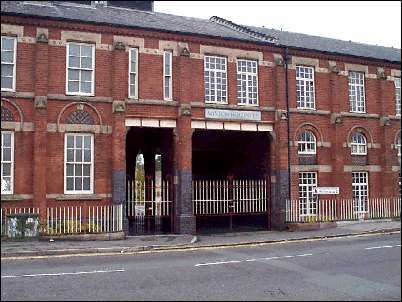 Most potteries were built round a courtyard (such as the Spode factory in Stoke), but this was built on a linear plan, with separate buildings for the various production processes. The factory was largely demolished in 1987 but the main building, facing the street still survives, it has been restored and is used a the head offices of a national mobile communications company. 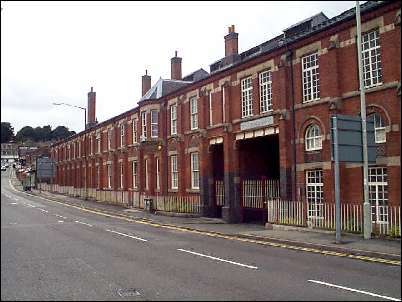 Minton's original factory was on London Road, Stoke (1789) and the Minton factory there still survives in working for as part of the Royal Doulton Group. 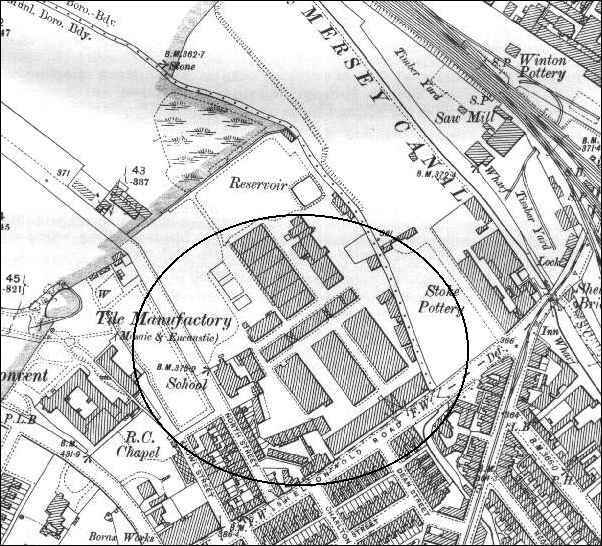 1898 Map showing Minton & Hollins factory bordered by North Street and Shelton Old Road. The entrance shown on the photographs is clearly marked by the diagonal-crossed box on the long building on Shelton Old Road (bottom middle of map). Note that to the right of the circle both Mosaic and Encaustic tiles are referenced. The Trent & Mersey Canal and the railway line are clearly visible in the top right of the map - both essential for the transport of raw materials and finished ware. The entrance on Shelton Old Road. North Street and Stoke Road. in tile mosaics above the main entrance. : Links to Marks and initials found on Minton Hollins ceramics.